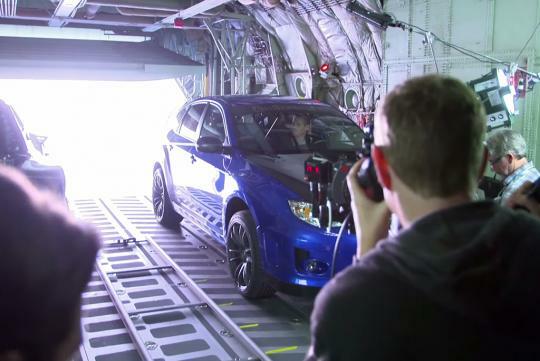 So you think the scene where the cars were thrown out of the C-130 plane in the 7th installment of the Fast and Furious series is filmed on a big green screen? 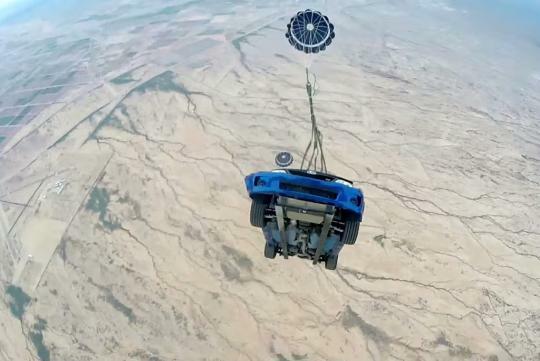 The producers of the 'Furious 7' just released a behind-the-scenes video where it demonstrated how the whole stunt carried out in which a couple of cars were reversed out of the back an airborne C-130 Hercules transport aircraft before landing safely with the help of huge parachutes. Watch the video below and see what challenges they faced when the cars jumped off the plane at around 12,000 feet. The movie opens in theatres on 2nd of April. Impressive! Never thought it was possible. Now let's try with the Fast & Furious cast inside those cars to make it more realistic. Lol.